Singers are blessed with their honeyed tones and voices. It seems even gods also impressed with their songs as most of the women Singers lived longer. Checkout the following interesting observations which were made on women Singers. * Renowned Tamil singer DK Pattammal lived for 90 years while Bharat Ratna MS Subbulakshmi died at the age of 88. 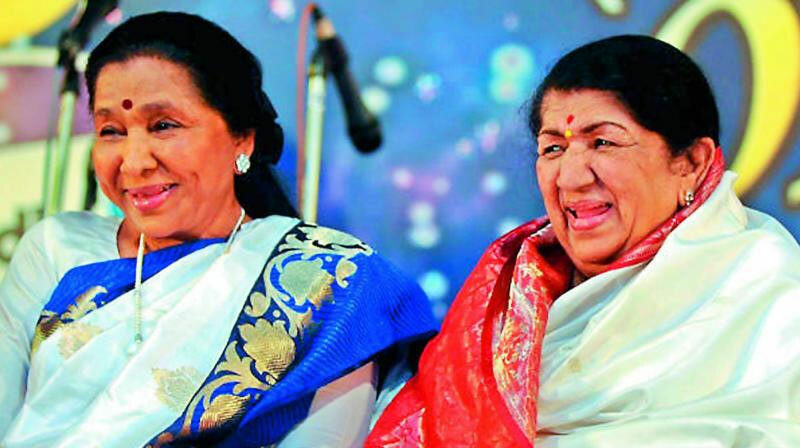 * Lata Mangeshkar is 89 now and her sister Asha Bhosle is at 85. * P Susheela, who is 83, is still interested in singing songs. S Janaki is living happily in her retirement age of 80. * LR Eeswari is 78 now. * Veteran women singer P Leela breathed her last at 71 while Jikki lived for 68 years. * Not only women Singers but also male Singers had a marathon life. Mannadey was dead at 94 while PB Srinivas died at 82. KJ Yesudas is at 79 now. SP Balu is still busy at the age of 72 while the first playback singer MS Ramarao died when he was at 71 years old. * However a few male Singers such as Mukhesh, Mohammad Rafi, Kishore Kumar and Ghantasala were dead in their fifties.